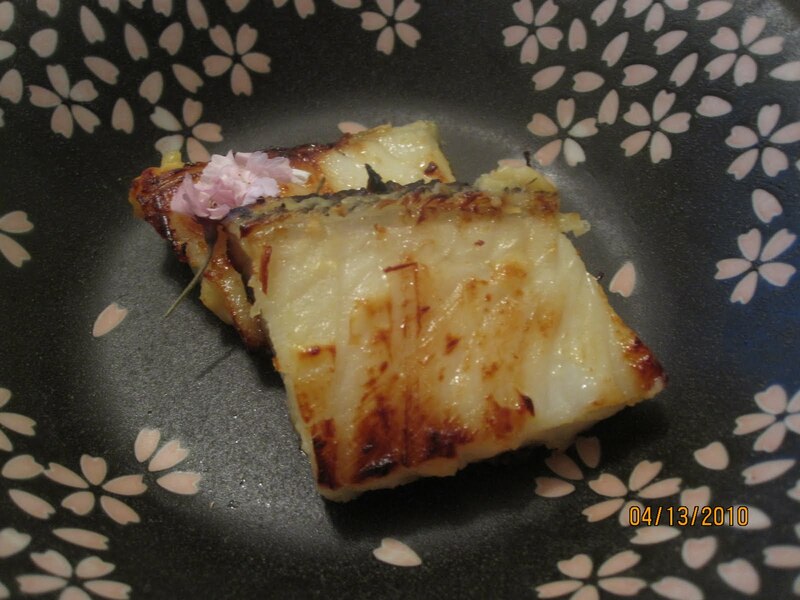 I cooked Saikyo-yaki tonight. Saikyo-yaki is one of the most delicious Japanese dishes. We use a special miso called "Saikyo Miso" for marinating fish, meat, or anything you like to grill. This time I used few fillets of Japanese seabass (Japanese name: Suzuki) which is very tender and has a light texture. I marinated few fillets into Saikyo shiro miso and waited for 3 days. I grilled them until it cooked well and juicy fat came out and I eat with hot white rice!! It was very yammy! Saikyo shiro miso is made with more rice and less soybeans with a short fermentation period. Saikyo shiro miso has a pale yellow color and distinctive sweet flavor. The salt content of this miso is about five to ten percent. Because of its mild flavor and less saltiness, Saikyo shiro miso is a favorite miso used to marinate fish and vegetables. 1. Sprinkle some salt on fillets of Seabass and wait for 30 minutes. 2. Absorb the water came out from the fish. 3. Combine miso with sake and mirin. 5. Spoon a small amount of marinade into base of shallow container. 6. Place 1 piece of fish in, flesh side down and cover with more marinade. Repeat with remaining fish. 7. Cover and refrigerate overnight. ( if you like stronger taste, extend few days more). 8. Scrape off excess marinade and grill skin side up until brown. 9. Serve with pickled ginger.